Car Accident Pregnancy Injuries. 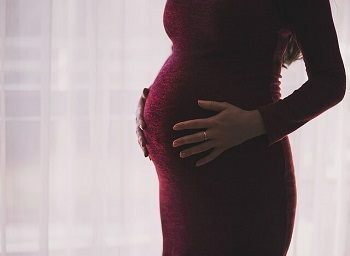 A car accident involving a pregnant driver occurred in Sacramento on October 17, 2018. This trauma was compounded because the driver that struck the vehicle, which the pregnant woman was in, fled the scene of the accident. The California Highway Patrol (CHP) was present at the accident site that occurred on Howe Avenue just north of Fair Oaks Boulevard near American River Drive. The condition of the woman has not been reported as yet. However, an ambulance was called to take her to a hospital for evaluation and treatment. It is unknown at this time whether the hit and run driver was caught by police. According to University of Michigan researchers, pregnant women are involved in about 170,000 motor vehicle accidents each year. Car accident pregnancy trauma resulted in 3,500 trips to the emergency room and about 116,000 accidents that injured a pregnant woman. According to American Family Physician, one in every 12 pregnancies in the country are complicated by trauma from a motor vehicle accident. A fetus is 26 percent likely to suffer an injury at 28 weeks gestation if the woman is wearing a seat belt. However, the number is much higher for car accident pregnancy injuries at 70 percent if the woman isn’t belted in. The odds of survival decrease depending on how premature the baby is if it is born as a result of a collision. For example, at 25-weeks gestation, the odds are 67 percent that the baby will live if it is delivered at a hospital with a neonatal unit. It is estimated that around 3,000 fetuses are lost each year because of a traffic accident. Some believe that the number is much higher at 5,000. This means that between two and 14 unborn babies die each day as a result of a car accident. Measure the distance of the steering wheel to the mother’s breastbone. It needs to be a minimum of 10 inches away. Any closer risks chest and abdominal injuries. Wear the lap belt low at the hips to help avoid injuries. Tilt the steering wheel, but toward the chest instead of the abdomen. Leave the airbags alone, and do not turn them off. Airbags add a layer of protection to the mother and unborn child. Place the shoulder belt across the chest area but to the abdomen’s side. This can help avoid car accident pregnancy injuries in a collision. California law does not allow lawsuits for the loss of an unborn child because an infant must be born to be considered a person. However, there are instances in which a lawsuit can be filed. For example, placental abruption caused by car accident pregnancy injuries means that the child was born before dying. Additionally, parents can file to recover damages for a child who is born with a disability because of a car accident injury. Although the loss or injury of a child is one of the most devastating things that can happen to parents, filing against the negligent person who caused the accident may help them find closure. I’m Ed Smith, a Sacramento car accident lawyer. When you have been injured or lost your loved one in an accident caused by negligence, I may be able to help. Please call me for free and friendly advice at (916) 921-6400. If you are calling from outside the area code, my toll-free number is (800) 404-5400. I also have an online contact form and will get back to you promptly. I’m a California member of the Million Dollar Advocates Forum, a group that was established to recognize the top one percent of trial attorneys who have won more than $1 million for a client. I have obtained fair compensation for many Sacramento residents and those in other parts of Northern California in areas including trauma such as brain injuries and all types of car accidents, along with wrongful death. You can find out about my law firm by visiting the following sites to read reviews by my clients and look over some of our prior cases and how they concluded.